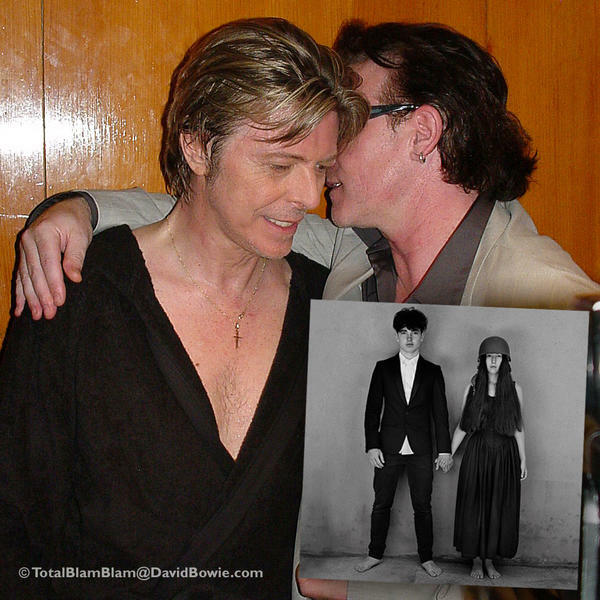 A sweet thing to do and the perfect excuse to post a previously unpublished picture of Bowie and Bono backstage at Bowie’s Meltdown in June 2002. Our reporter on the spot on the night reckons that Bono was probably whispering a 'Knock Knock' joke to Bowie that included the line: “Europe who?”. It’s possible.